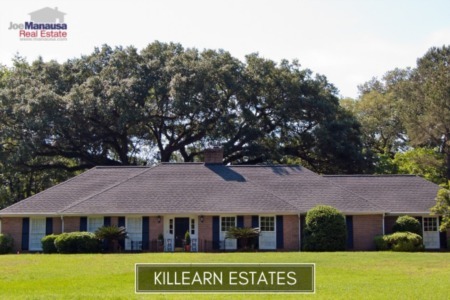 Killearn Estates, the top-selling neighborhood in the Tallahassee real estate market, had a very strong year in 2015. 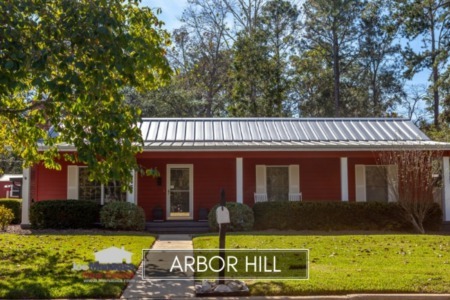 With homebuyers seeking location, location, and location these days, we expect Killearn to keep on thriving. It is important to note that the narrative contained below is through the end of the year for all years, though the graphs and the closed sales table will be continuously updated into the future (meaning bookmark this page if you always want to know the current status of homes in Killearn Estates). Killearn Estates home prices rose 4% in 2015, moving from $211,400 to $220,300. Prices have recovered more than 10% since the bottom of the market was reached in 2012, but still remain 21% lower than the market peak of $280,500 that was recorded for the 2006 calendar year. With mortgage interest rates remaining near historic lows, Killearn Estates is near record affordability. Home sales activity shot up 28% in 2015, setting a new ten-year high. but the number of closed home sales at year's end is still 20% fewer than Killearn Estates averaged from the years 1992 through 2005. Through the fourth day of the new year, Realtors posted 213 closed home sales in Killearn Estates in 2015. Average home values in Killearn Estates rebounded 2% in 2015, recovering the equivalent loss that was reported for the prior year. They have gone from an average of $105 per square foot in 2013, down to $103 per square foot in 2014, and then back to $105 per square foot in 2015. Home values today are 23% below the home values recorded in the best year on record (2006) but up 9% over the worst year (2012). These values suggest that many homeowners who have purchased or refinanced in the past 10 years are still going to be dealing with the problem of owing more money on their homes than they can net from a sale. I would expect to see more of these "trapped" homeowners hitting the market as sellers as values shoot up a few more points. The average home size sold in Killearn Estates typically falls in a range of 1,900 to 2,200 square feet, and 2015 saw home sizes well within this range. The 213 homes sold in Killearn Estates during 2015 averaged 2,080 square feet. The following list shows more than 5,200 home sales in Killearn Estates going back to 1991. I hope you enjoyed our January 2016 update on home sales in Killearn Estates, please feel free to drop me a note if you have questions not covered in this report.